The Select Air Frame lowers from the ceiling to set up your indoor batting cage in minutes. Batting cage net fits over the frame. 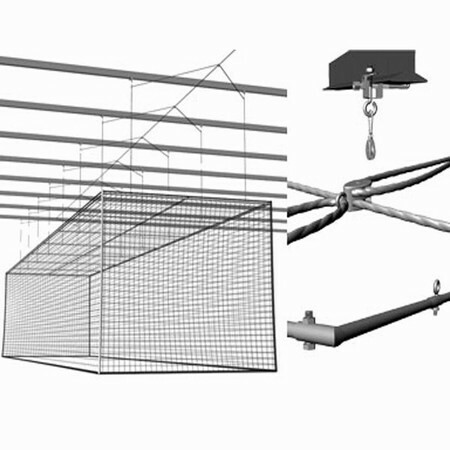 To use, lower the frame to 4' off the ground and unfurl the net from the top of the frame. To store the net, toss the net onto the frame and raise everything out of the way.